The Black Stars gave a befuddling performance against Cape Verde’s Blue Sharks as they reached the semi finals for the fourth successive time. Despite the 2-0 win, many Ghanaians’ relief is tempered by a reintroduction of doubt about this team. Having appeared to turn the corner with a stellar 3-0 win against Niger, the Stars reverted to their first game’s form against the Sharks. Defensively, they seemed confused and were not communicating with each other while offensively they lacked ideas. Ultimately, it might have been experience and luck that carried us through. When the Black Stars are mentally locked in a game it is easy to tell. Their body language and their actions on the pitch speak louder than anything they say off it. Even though the party line was that they respected Cape Verde and what they could on the pitch, for me their attitude on the pitch showed complacency. This game against the Blue Sharks is further evidence that these Black Stars will go as far as Captain Asamoah Gyan takes them. When he is engaged, lively and into the matches, the Black Stars are a different team. When he is passive, going through the motions and unfocused, the Black Stars will follow that lead. Against Niger, Gyan was clearly out to prove something. He was hungry. He was determined. He would not take no for an answer. He was harassing the Nigerian defenders throughout his time on the field and he was lethal. It reminded me of his 2010 World Cup performances in South Africa. Fast forward to the match against Cape Verde and beyond winning the penalty his contribution was minimal. His attitude translates into how any tactics are applied on the pitch. Defensively and offensively, Gyan is the point person. When he is out of position defensively, play breaks down behind him with passing channels opening up for the opposition like the red sea. 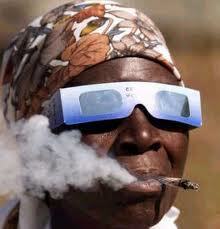 Cue Cape Verdean players playing like they had a man advantage against Ghana in the second half. When Gyan is showing for passes and playing one twos with his midfielders, Ghana has more attacking options and inevitably create more chances. Against Cape Verde, the quick interplay was absent leading to fewer chances. As a result, our midfielders like Kwadwo Asamoah, Christian Atsu and Emmanuel Agyemang-Badu were non-factors. Cape Verde were always going to come out and make the game difficult for Ghana by putting men behind the ball. The surprise was how quickly they transitioned into attack. They were menacing at various moments during the first half and on countless occasions in the second. With more assurance and self belief they would have shocked us. Despite Cape Verdean ability on the day, the Stars did not make the mental adjustments necessary throughout the game. A coach can offer a game plan for different scenarios and tactics but if the players don’t apply themselves there is little a coach can do. We are now in the higher stakes part of the competition and the players will have to bring a more consistent energy and focus to their play. Otherwise, our hopes of bringing back the cup will stay in La La land. To that end, having an extra day than they had for the quarter finals to prepare for the semi finals should reinvigorate them. Heading into this game the Black Stars had adopted the line that this would be the toughest group game. It might well have been had the Nigerians’ goal stood. As it turned out, that disallowed goal melted away any ambition they had. They were no menace to the Black Stars ambitions of advancing. Ghana picked a good time to play its best in the tournament. Goals from a revived Asamoah Gyan and Christian Atsu saw the Stars take a 2-0 half time lead. 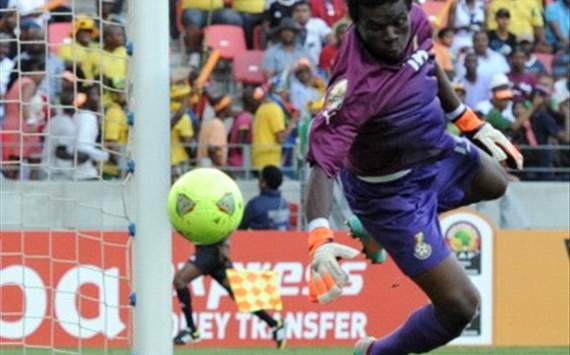 John Boye made it an emphatic win with a scrambled in goal after Gyan’s header was spilled by the Nigerian keeper. Atsu was officially the man of the match but for me Gyan was the man of the hour. Ahead of the Niger game, there was mounting criticism of his play with some suggesting he should be benched for Emmanuel Clottey. Maligned in one breath, he is deeply appreciated in Kwesi Appiah’s breath. Just as well Appiah remains the coach. Gyan scored with a decisive perhaps angry finish, he assisted on the second and caused the third. His work rate for the 75 minutes he was on the pitch was good. He was aggressive, demonstrative and seemed really into the game. It is my theory that Gyan sometimes needs the prodding that the criticism brings to find his best form. He always manages to silence Ghanaians when his back is against the wall and when criticism is at its highest. 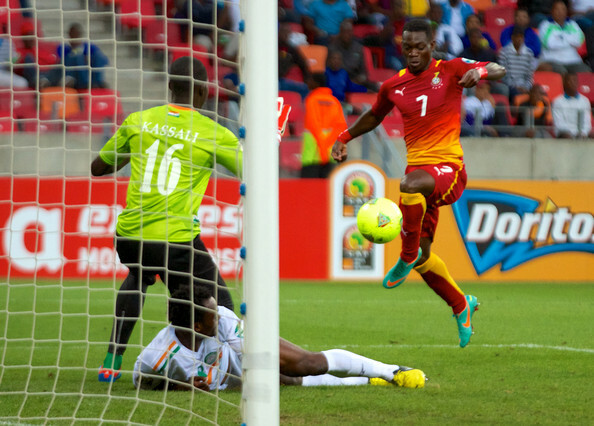 While pressure brings out the best in some, the Afcon stage brought out the fright in youngster Atsu. He is slowly adjusting to the bright lights though like an iris in a dark room. When he is on his game, he puts so much pressure on a defense. On his goal, he waited until the last moment before passing the ball to Gyan on the left flank. That delay pulled three defenders to Gyan. Atsu’s sudden dash into the box left the defenders for dead. His finish was calm and clinical. That one play summed up why there is so much hope for him. If he can harness the skills, speed and tenacity he showed in this game and produce it every game, Ghana will have discovered that kind of midfield threat we haven’t seen since Abedi Pele. Abedi and now Messi (a player Atsu is being likened to) however play defense and that is a part of his game he will have to develop to reach a World Class level. Still, he has given coach Appiah a welcome headache as to what to do if Mubarak Wakaso is eligible for the quarter final against Cape Verde. Until then, Ghana is riding high off its most impressive performance to date. A year ago, Goran Stevanovic walked into the Ghana Football Association press room a confident man flanked by members of the Association. An assured Kwesi Nyantekyi introduced our next Serbian miracle worker. Stevanovic seemed affable, spoke English (halting but he promised to improve), and brashly proclaimed he was here to get Ghana over the hump. He wanted to end the country’s 30-year drought. He said all the right things about Ghana having plenty talent and the right mix of players. He was eager to surpass his Serbian predecessors. Ghanaians hung onto his words like they do to those of a priest on Sunday espousing the prosperity doctrine. We had been to the final of the African Cup of Nations and the quarter finals of the World Cup the previous year so there was evidence that he could. We all could envision the kind of lift a Cup would bring. We needed to believe him. It was our escape and it became our obsession particularly as some traditional giants failed to even get to the CAN. Fast forward a year and the scene could not be any more different. Fresh off the failure in Gabon/Equatorial Guinea, here Plavi was leaning on assistant Kwasi Appiah like he was a crutch; Appiah suddenly turning interpreter for some questions. A once triumphant Nyantekyi also seemed subdued, resigned to a coach’s demise. An already tense room became inflamed at the suggestion by the coach that he didn’t promise to resign if the Black Stars didn’t bring the Cup back. To be fair, listening to the clip he has a point. No matter. A coach with two losses over 18 matches has his head on the chopping block. Before that, the GFA announced they were deferring the decision on the coach for two weeks pending consultation with its legal team. This was hardly a vote of confidence. In between there were apologies by the coach and the FA to Ghanaians for the team’s failure. It’s been two weeks since Ghana exited the Cup of Nations. Fourteen days to let people’s emotions simmer down and reasoned judgments about the team take over. If Ghanaian journalists represent the mood of the country, then we are really, really MAD. We are angry at not winning the 2012 cup.We are upset about seemingly empty promises, and perhaps most of all, we are insulted because we feel we’re being lied to. But why are we so mad? What happened between his appointment and now for there to be such open hostility towards him. There were shouts of ‘tsssooooo boooiiii’ at one stage as if one were going to war. Where did the negative feelings emanate from? It has to do with the increasing cynicism that permeates many aspects of our society. It is manifested especially towards people in authority and intensifies as the reliable supply of basic amenities like water and electricity elude many. Football had all this while been our refuge, the place where we go to see Ghanaians excel, our center for excellence. Plavi promised like an African politician and failed like one. His apology to the public seemed like someone saying what he wanted us to hear and it made us mad. Despite criticisms of negative tactics, Milovan Rajevac endeared himself to Ghanaians. He was modest in everything he did. Rajevac lived here and his preference for track suits suggested a plain manner. He seemed shy, humble, he under promised and over delivered. He related to his players well and did not seem vindictive giving players like Sulley Muntari second chances when they acted out of turn. Alhaji Grunsah may have stolen the show when he took the floor and pleaded with the coach to stay in Ghana. As only he could, he said, ‘when you’re an employee of UTC, you don’t spend more time at GNTC.’ He implored Plavi to spend more time in Ghana and work for the Ghanaian people. Visit local league centers, scout players, unearth talent was the cry. If Plavi stays, which looks increasingly unlikely, he’ll do well to heed Grunsah’s advice for it’ll allow him to learn more about our football the culture in which it is played and the people who live by it. That knowledge will go a long way to inform his tactics and prevent him frombeing out of touch. Under a light drizzle and bright flood lights, the Black Stars trained Wednesday night for their African Cup of Nations qualifier against Swaziland. It reminded me of my younger years when rain made me want to go outside and play. Utterances by some players and the head coach however suggest this is no child’s play. The leaders of the team like John Pantsil have said they are not taking their opponents lightly and the practice showed. Coach Goran Stevanovic’s demeanor suggests that the whole team means business. Constantly instructing his players, he was relaying what I imagine are the fundamental principles of how he wants his team to function and the basic game plan he has for Friday night. I joined practice when there was a scrimmage between a team composed largely of players you would expect to start the game Friday (probables) and the rest of the squad (possibles). Adam Kwarasey was in goal for the probables. The back four was John Pantsil, Jonathan Mensah, Isaac Vorsah, and Daniel Opare. The midfield was manned by Sulley Muntari, Kwadwo Asamoah, Anthony Annan and Emmanuel Agyemang Badu. The two strikers were Prince Tagoe and Asamoah Gyan. At this stage of the practice, if I were to guess I would have said this was going to be the starting line-up. By the end, I wasn’t so sure. Stevanovic was intent on simulating in game situations and looking for his players to react the way he wants. It was impossible to hear exactly what he was saying because I was in the stands but sometimes actions speak louder than words and his hand gestures told their own story. Both teams worked a lot on how to play when they weren’t in possession. Consequently, a lot of the instruction was directed at what to do as soon as they got the ball. Basically, how does one transition swiftly from defense to offense. Play was concentrated in the midfield so the midfielders had to be sharp. Stevanovic wants his team to quickly switch from one side of the pitch to the other and for his midfielders to quickly look for overlapping full backs. Any opportunity to have more numbers in the opponent’s half as soon as you gain possession is welcome. Whatever lessons he was imparting, the possibles as is often the case in practices seemed more adept at executing. 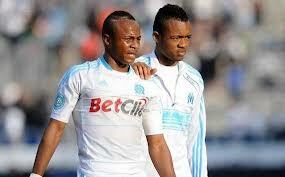 That was until Annan, Muntari and Tagoe switched sides with Derek Boateng, Dede Ayew and Dominic Adiyiah. Anthony Annan does not appear fit, let alone match fit while Prince Tagoe’s partnership with Asamoah Gyan is non-existent. They simply do not click and that makes the attack ponderous. Muntari looks leaner, the result perhaps of a hard preseason at Inter but nothing can replace competitive matches for a footballer and Dede looked sharper. Unfortunately, this change happened for about ten minutes so I caution anyone into reading too much into it. Also, this was the first practice session I attended so I’m unable to compare the players’ output on this occasion to others. My sense from day one of Stevanovic’s selections is that while by the time Milovan Rajevac left he preferred Dede for his defensive abilities, all round youthful energy and exhuberance, Stevanovic likes the attacking mindset of Muntari. Mind you, it took a while for Rajevac to reach his conclusion on Dede and Stevanovic might come to it as well. For now, it appears he sees Muntari as more of a starter. The absence of Kevin-Prince Boateng limits Stevanovic’s options however. In Boateng, he could maintain the 4-3-1-2 formation and shift Kwadwo Asamoah to play more on the left wing so that Boateng fills in as the attacker just behind the two strikers, a position he plays so well for Milan. It’s an option Stevanovic doesn’t have due to an alleged bust up, a situation he addressed. With or without Boateng, this squad should steamroll the Swazis on Friday. It is on Monday, that KPB’s dynamism may be missed.